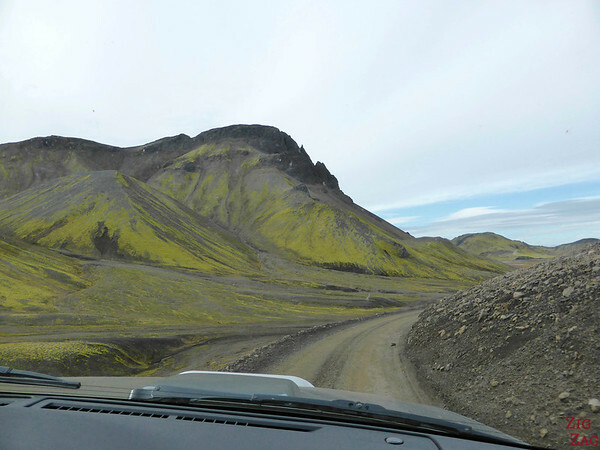 One of the most scenic drives in the world is the 4WD Road F208 Iceland through the Central Highlands. 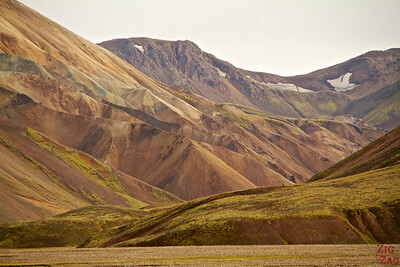 The variety of landscapes and colors is just mind-blowing. At every turn you just gasp for air because you discover another stunning valley. 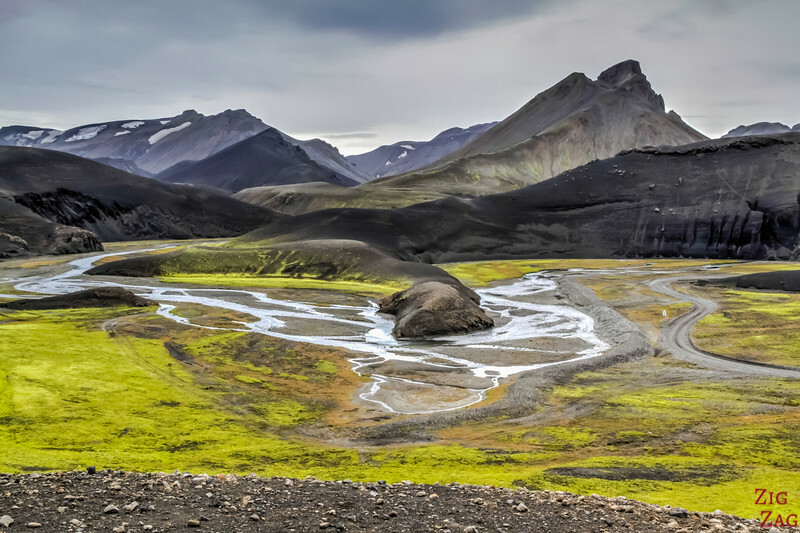 F208, also called Fjallabaksleid Nyrdi, is a 4WD access only road that leaves the Ring Road along the South Coast and drives through the Central highlands reaching the famous Landmannalaugar ﻿Iceland with its painted mountains and hot springs. 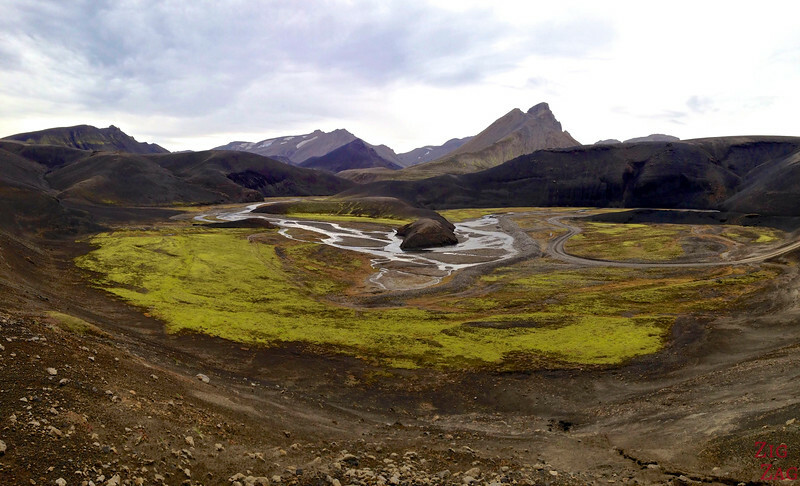 From the North it starts at the powerplant and goes through a drier area before reaching Landmannalaugar. There is only 20 km of that road that I have not driven. I discovered the northern part with my photogpraphy tour. 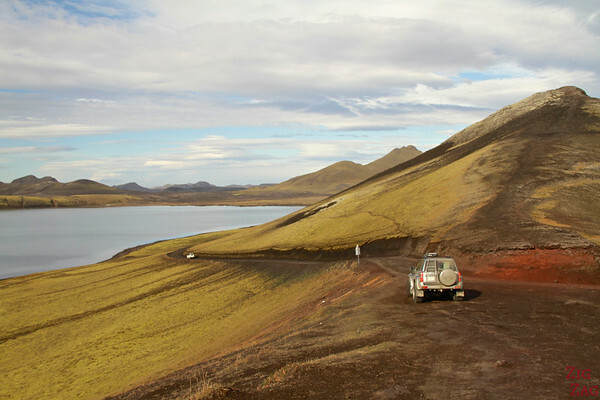 After that, as I was alone without any experience​ in 4W driving, I hired a driver and its superjeep from Discover Iceland. I will write a review later. I was quite expensive but it was well worth the money. Which such a scenic road, I was glad to be able to stop whenever I wanted! Difficulty: From the South all the way to lake Frostadavatn, in September we did not have big river crossing. However this is very dependent on the weather and glacier conditions. The South part of F208 can be very wet. 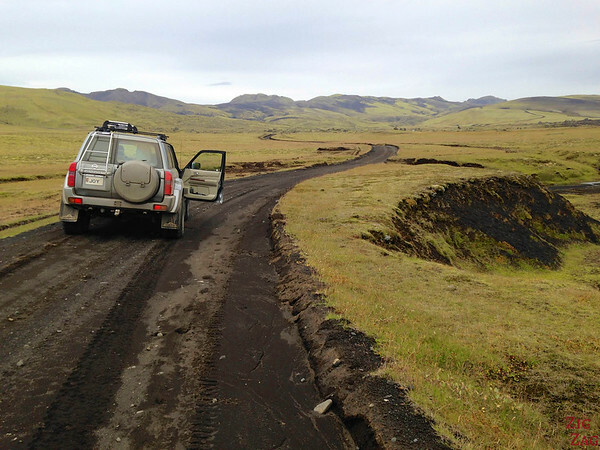 Moreover this is not the most driven road to Landmannalaugar so not many people to help if you are stuck. You should not venture by yourself without 4WD driving experience. To give you an idea there is a video on youtube about the Southern part of F208. The beginning for F208 as we turn North from the Ring Road is nice but without anything spectacular. The first stop was at Holaskjol where I went for a short walk and discovered one of my favorite waterfalls in Iceland. I dedicated a full post to Holaskjol if you want more info and planning tips. 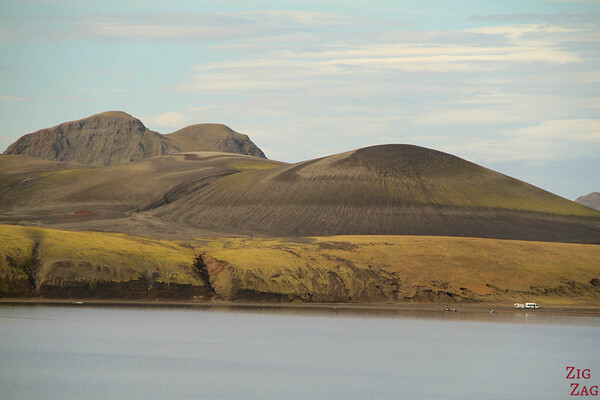 Right after Holaskjol we started admiring incredible scenery, and the landscapes became more irregular. At each turn and each valley, I was amazed and thought it could not get prettier than that, but it always did! I especially loved the shapes with dark and green patches. the contrasts were mesmerizing. Below are pictues of my favorite point of view on road F208; I asked the driver to stop here for a while and took the time to admire each details of the landscape. The mountains we see here reach 1000 meter to 1100 meter height. 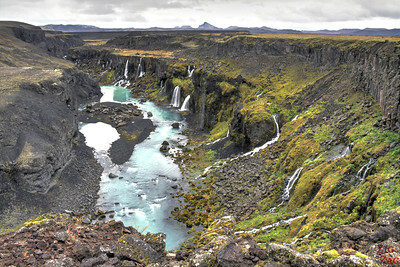 It is one of my favorite off the beaten path locations in Iceland. 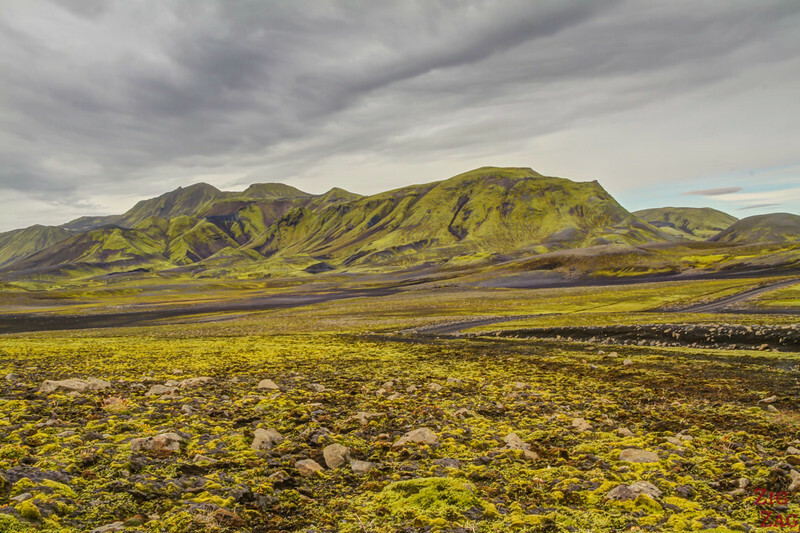 And it even made it to the top of my list of best landscapes in Iceland. 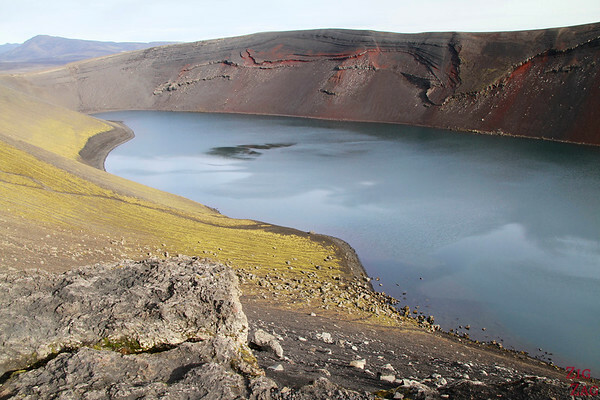 The lake of Frotastadavatn was my next stop along F208. On one side I really enjoyed seeing the flow of lava recovered by moss entering and stopping the lake. It is one of those place where I was able to really imagine the big flow of lava and realise the power of it. The rest was also stunning with patches of red, green and black. 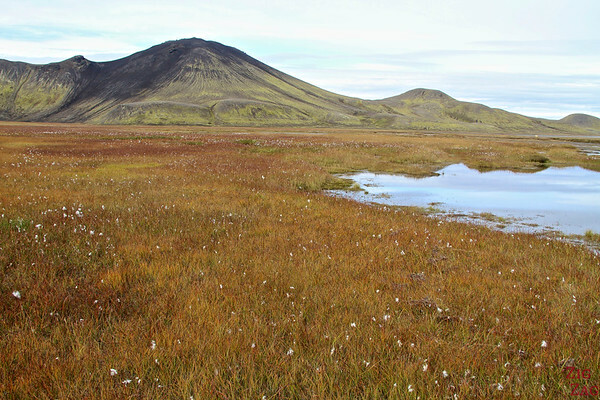 This smaller lake is Ljotipollur, a bit off Road F208 East of Frostadavatn. 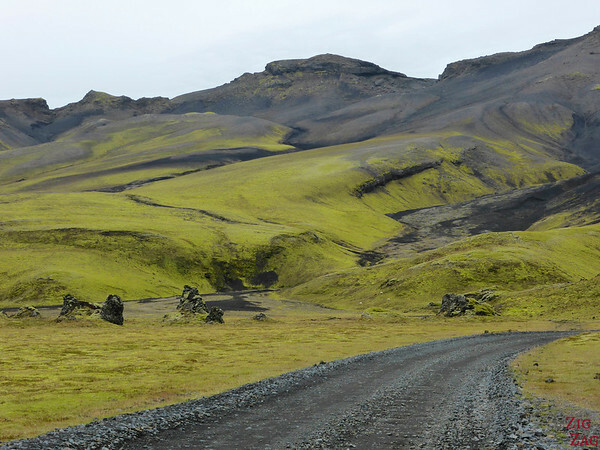 On my Superjeep drive I quit road F208 to head to Hekla. However I covered a portion of the northern part of F208 during my photography tour the week before. 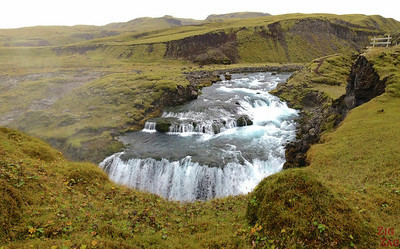 During our lunch break we discovered by accident the amazing Sigöldugljúfur canyon for which I have written a dedicated post with many photos and planning tips. But this drive is the most scenic, don't you think? How long did it take to drive from when you left the Ring Road in the south to the power plant on the northern end of F208. What vehicle did you take? We are looking at renting a Toyota Rav4 or a Dacia Duster. There are even more expensive heavy duty 4WD cars to take but I was wondering if a smaller SUV can cut it. I am sorry but I cannot really answer your questions. As I wrote in this post, I hired a superjeep and a driver. Plus we took some detours so it is hard to give you inputs. If it was like the day I did it, the Toyota Rav4 would be sufficient and I think you can do the all length without stopping in 3h30min. 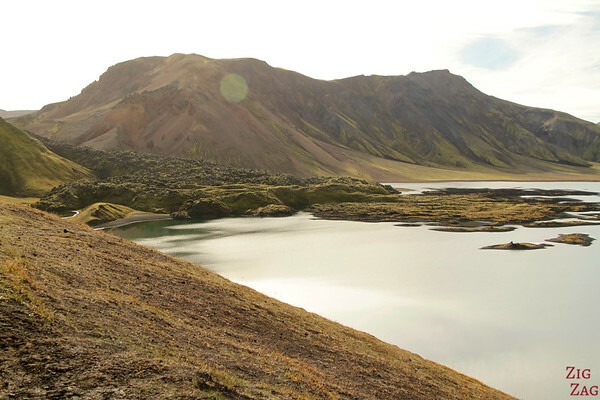 However with bad weather and/or with bigger rivers (which you cannot plan) then you might need a bigger 4WD (for the South part up to Landmannalaugar) and way more time. You also need to check with the rental company, some do not allow you to drive on difficult roads (including F208) with certain vehicules. Wow! This is such a nice post! Would you have the contact information of the company that you used? We are planning on going this July and would love to do this route. are this information present inside you guide? in that case wich one? That was the right one. The Central Highlands are included with F208 and more. UBER useful your guide!very nice work!